Since a long time we are the only rebladers of the shaving builder leader in the world. 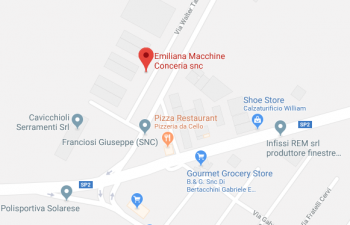 Besides the reblading of the new cylinders devoted to the builders of tannery machines, we furnish a complete and impeccable service of reblading dedicated to the tanneries. The cylinders rebladed from us are minutely checked for to guarantee a rapid assemblage on the machines in which they are assembled and a precise cut on the leather that will be worked. The complete service of reblading, comprehensive of our blades, united to our grindstones, furnishes the optimal result to the tannery in terms of quality and also in terms of price. The activities that we develop and that we think essential to have a cylinder under perfect conditions are: the un-blading that must be performs without damaging the grooves of the blades, the cleaning of the cylinder and the repair of the grooves blades damaged for allowing the correct adaptation of the blades at the cylinder. The reblading maintaining particular attention to the precision of the intersection and using the adapt copper caulking strip, grinding of the same cylinder to avoid the malfunction of the machine, the digital balancing in three phases (sectorial, static/dinamic, acceleration steps / speed of work), to allow the cylinder to work the leather at the best, and finally the resistant paint thanks to which the cylinder can remain always protected and in good conditions. For our clients we have available a transport service free of charge for those who are nearby or for those who have many rollers to be rebladed; in alternative we can furnish a service of vectorial transport to extremely convenient prices in which we include a free box for re-use for every reblading so that to allow a safer transport of the rebladed cylinders. Obviously we reblade every type of cylinder, for shaving, for fleshing, for sammying and setting out m/c, scudding m/c, sole-leather setting out m/c and staking m/c.